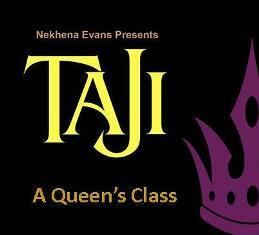 TAJI A QUEEN'S CLASS is an eight (8) week interactive online program based on the precepts of Queenship. How can you create a lifestyle that reflects your unique Queenliness which results in your living a rich and satisfying life? Eight (8) week online program. One (1) hour per week. $50 registration deposit is non-refundable. $250 Balance due by March 28,2014. REGISTER TODAY! Reserve your Throne!